Window on a small alley of a Chinatown pharmacy. Very busy window of the Eastern Bakery on Grant Avenue. 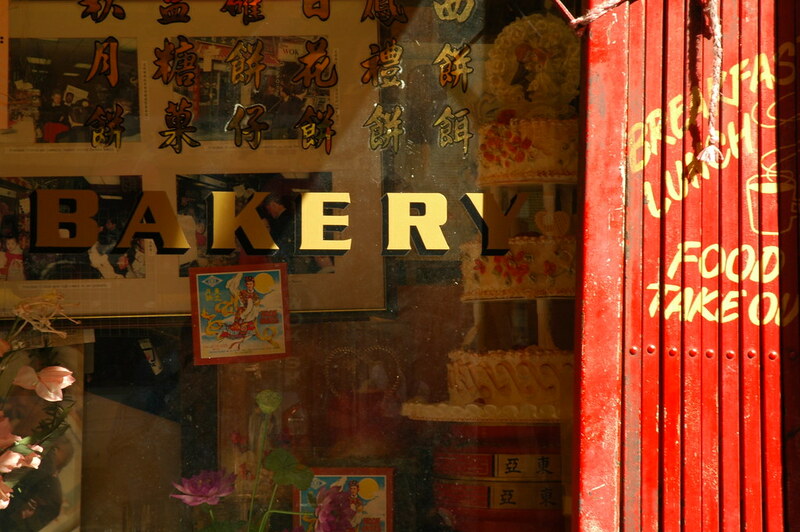 If you pause more than a second in front of it, you'll be urged to come inside for a free sample of moon cake. 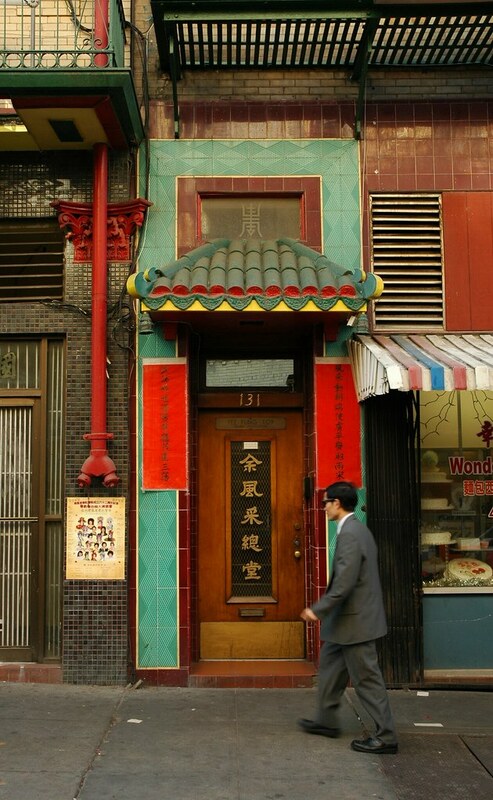 Doorway to Yee Fung Toy, the Yee family association. There are other branches in several cities in North America. The "Great Star Theater" on Jackson Street. 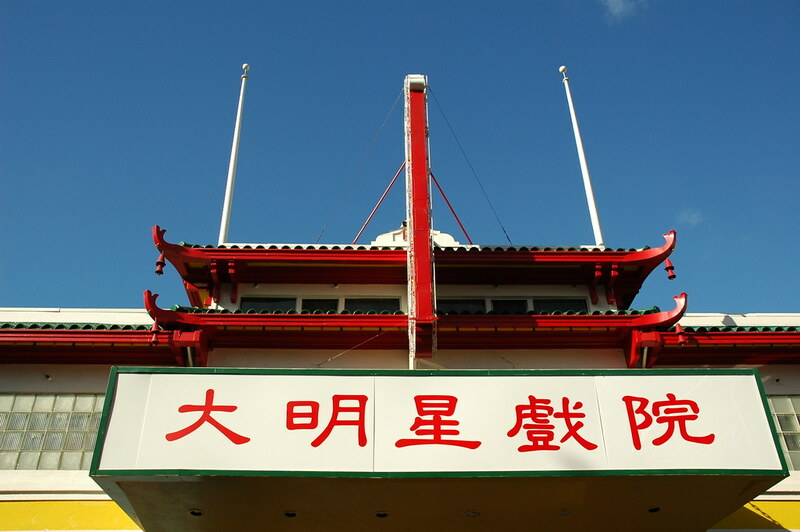 This is the last Chinese language cinema in Chinatown - at one time there were four of them.